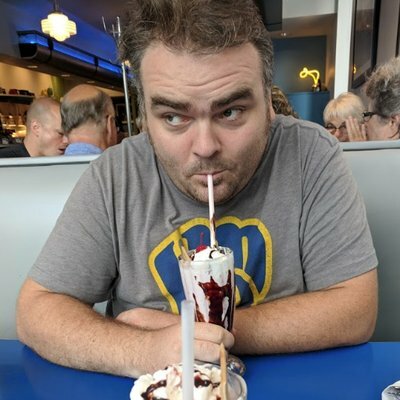 Less than a week after my last post, news came out that the Brewers had sold naming rights for Miller Park to American Familiy Insurance, so the stadium will no longer be named Miller Park as of 2021. Being as it’s headquartered out of Madison, American Family is on the not-so-horrible end of the corporate naming sponsor spectrum in my opinion. Assuming, at least, that the ultimate name of the stadium ends up being something innocuous like “American Family Ballpark” and not something truly gross like “Discount Double-check Field” (yes, I know that the “discount double-check” thing is actually State Farm). Shade thrown, Guaranteed Rate Field. Mostly, I think I’ll probably never stop referring to the stadium as “Miller Park,” because that’s what it will have been called for 20 seasons, and old habits die hard, etc. Even Milwaukee mayor Tom Barrett said he doesn’t think the city will change the name of “Miller Park Way” (the frontage road that connects the stadium to the interstate). 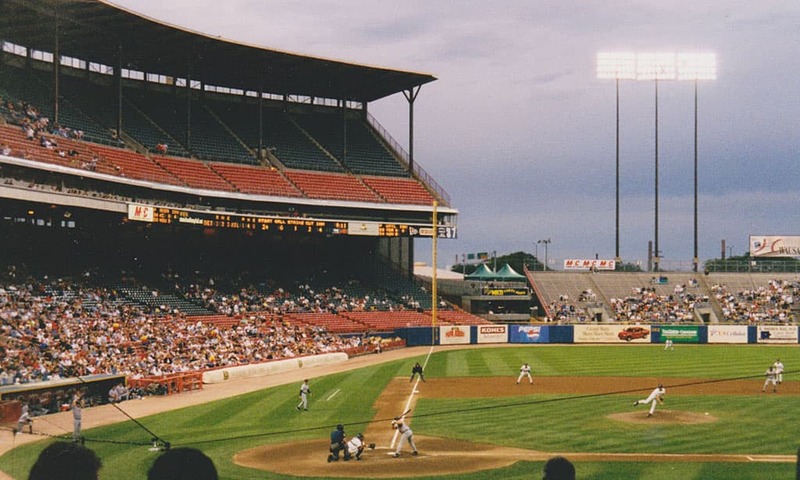 All this talk about naming rights has made me think about the old Milwaukee County Stadium, and reminded me of one of my clearest memories of going to games there as a kid. The Brewers were really not very good for most of my childhood, and games were sparesely attended. My folks would always get the cheapest tickets possible, so our ticketed seats were always in basically the last row of the highest nosebleed section. However, the beauty of the team being in a small market and the games being sparesly attended was that the stadium staff absolutely did not police the seating at all. My siblings and I would make a point of moving around the stadium and sitting in every section over the course of the game. I specifically remember making it all the way around the whole loop once, sitting in every section for at least an out or two. We would always semi-ironically try to get “the wave” going, exhorting the six to twelve other people in our section to join us as the four of us did a tiny wave over and over. It was a huge accomplishment when someone would humor us and join in for a few rounds, although it never really made it more than a section or two over since there were generally so few people in attendance that you couldn’t really track the wave’s motion around the stadium. People like to complain that baseball is boring because the action comes in fits and starts. While I don’t think this is actually true if you’re paying attention (strikeouts count as action, too), I do think it’s really a feature and not a bug for the casual observer. As a six or seven year old attending a meaningless regular-season afternoon game between the Brewers and some other mathematically eliminated team, I wasn’t exactly given to closely watching every pitch. But I did have a blast moving around from section to section, glove in hand, debating with my brothers and sister about the best spot to catch a foul ball. Every so often, the bat would crack and the crowd would snap to attention to watch a long, loud out, or you’d stretch out your arm to try and catch a foul that wound up landing six sections away. You’d sing along to “Hit the Road Jack” whenever the Brewers chased the opposing starting pitcher. And if you were really lucky, you might even see Bernie take the plunge down his slide once or twice, releasing a boquet of blue and yellow balloons into the summer sky.